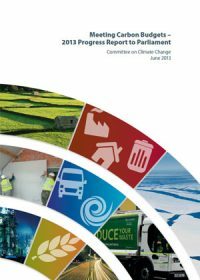 This is the fifth statutory report to Parliament on progress towards meeting carbon budgets.In considers the latest data on emissions and their drivers, and assesses progress in development and implementation of new policies which are required in order to reduce emissions. The report includes assessment at a range of levels: the whole economy; the nontraded and traded sectors; the key emitting sectors; and the devolved administrations. The report concludes that there has been good progress in the implementation of some measures, notably loft and cavity wall insulation, boiler replacement, new car efficiency, investment in renewable power generation, and waste emissions reduction. This report responds to a request by the Government to look at the role of consumption based emissions. It covers past trends and set out future scenarios for UK consumption emissions. It also considers lifecycle emissions of low-carbon technologies in order to understand how their deployment would impact the UK’s carbon footprint. In providing this advice, this report address the related issue as to whether offshoring of industry in response to low-carbon policies has been or could be a significant contributory factor to reductions in production emissions. This would not have any benefits for the UK’s carbon footprint and therefore global emission reductions, and would not be desirable from a wider economic perspective. 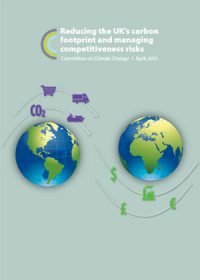 It is important that these competitiveness risks are assessed and managed when designing approaches to reduce emissions. This is clear in the Climate Change Act, which requires us to consider international circumstances and competitiveness impacts when advising on carbon budgets. 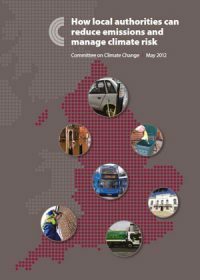 This report emphasises the crucial role councils have in helping the UK meet its carbon targets and preparing for the impacts of climate change. 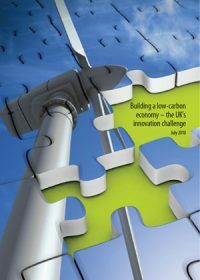 It outlines specific opportunities for reducing emissions and highlights good practice examples from a number of local authorities. Bioenergy refers to solid, liquid or gas fuels made from biomass feedstocks which may or may not have undergone some form of conversion process. The role of bioenergy in climate change mitigation is controversial. Specifically, there are questions over the extent to which bioenergy use results in emissions reductions when lifecycle impacts are accounted for, and tensions between the use of bioenergy and sustainability objectives (e.g. relating to the use of land for growing food, protecting biodiversity and water resources). 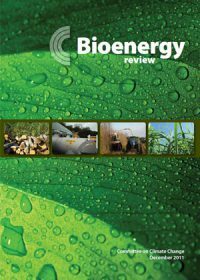 This review provides an assessment of the potential roles for bioenergy given lifecycle emissions and other sustainability concerns, and also considers alternative uses for bioenergy feedstocks (e.g. use of wood in construction). This Committee on Climate Change report sets out their conclusions on the potential for renewable energy in electricity, heat and transport in the period to 2030 and beyond. 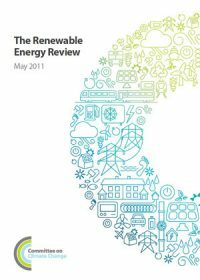 The overall conclusion is that there is scope for significant penetration of renewable energy to 2030 (e.g. up to 45%, compared to 3% at the time of publication). Higher levels subsequently (i.e. to 2050) would be technically feasible. Equally however, it would be possible to decarbonise electricity generation with very significant nuclear deployment and have limited renewables; carbon capture and storage may also emerge as a cost-effective technology. In order to build a low carbon economy and meet carbon budgets, the UK will need access to new technologies. This requires public sector investment in all stages of the innovation process from Research, through Development and Demonstration to Deployment (RDD&D). This report considers the effectiveness of current policy measures and institutional arrangements to deliver the technologies required to meet the UK’s 2050 emissions target. 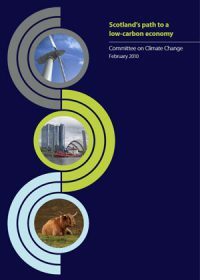 Scotland’s path to a low-carbon economy sets out the Committee on Climate Change’s advice on how Scotland can meet its ambitious 2020 target, to reduce emissions of all greenhouse gases by 42%, and on the level of annual targets in Scotland. It also provides advice on the inclusion of aviation and shipping emissions and the use of carbon credits in Scotland, as well as on economic and social impacts of meeting the targets.